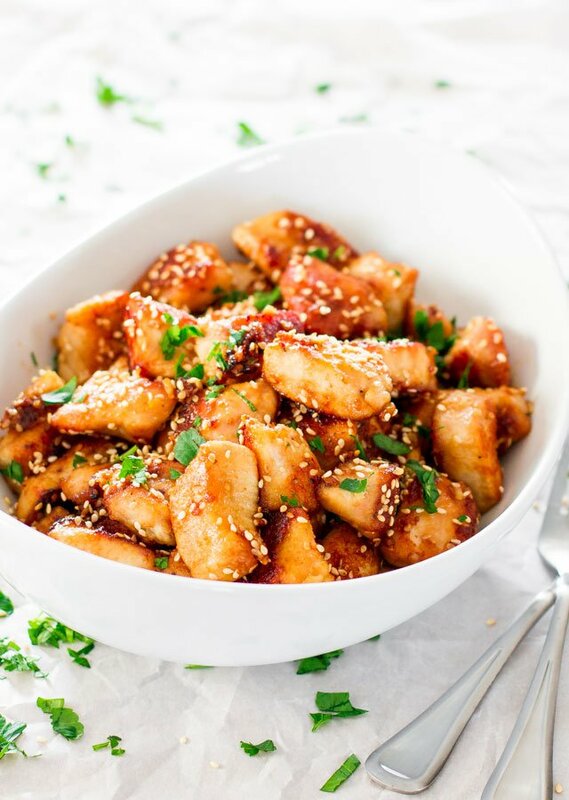 Sesame Garlic Chicken – tender and delicious chicken, with loads of garlic, sesame oil, soy sauce and honey. You know I love my garlic, so I minced 7 whole large garlic cloves in here, even now the house smells like garlic. It’s all good I’m sure the neighbors are jealous and wondering what I’m making. Too late, they can’t come over for chicken, because it’s gone. Besides loads of garlic in this chicken, we have sesame oil, soy sauce, honey, cooking sherry, chicken broth and loads of sesame seeds. I love my sesame oil. There’s something about this oil that makes me so happy. Every time I open the bottle that smell just makes wanna go hmm. 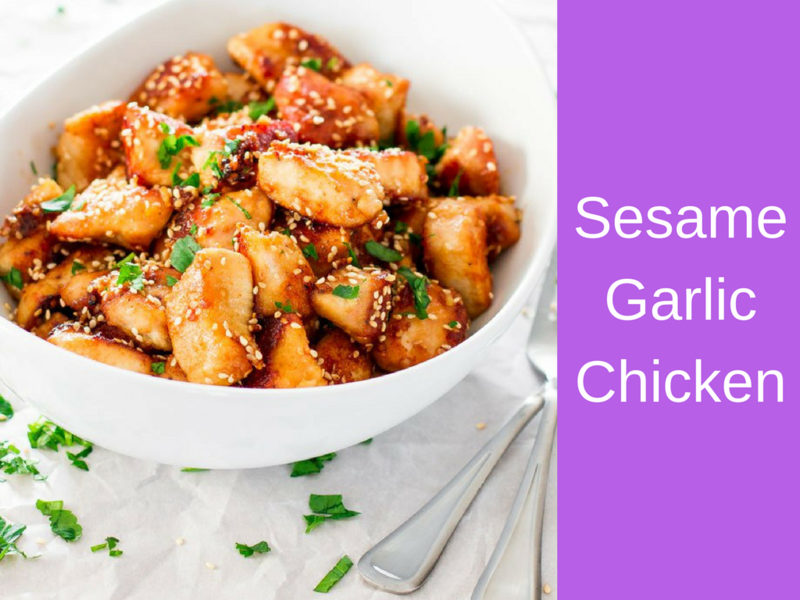 This sesame garlic chicken melts in your mouth, it’s tender because it’s baked in that yummy sauce, it’s sweet from the honey, salty from the soy sauce, it’s happiness in your mouth. This chicken is so easy to make, it’s the perfect chicken for a weeknight dinner served over rice, or lunch with a side salad, or even with some eggs for breakfast. In a large oven proof skillet, heat the 1 tbsp olive oil together with the 1 tbsp of sesame oil. In a large bowl toss the chicken with the flour, salt and pepper. Make sure each piece of chicken is coated with the flour mixture. Cook the chicken on each side until light and golden, about 2 to 3 min per side. Pour the sauce over the chicken in the skillet and sprinkle sesame seeds over and stir. Place the skillet in the oven and cook for 20 minutes. Serve warm over a bed of rice or with a side salad.